From its headwaters on Bald Mountain the Eel River carves 196 miles running south to north through Northwestern California, churning through deep canyons, and occasionally resting in tranquil pools before it empties into the Pacific Ocean. It is California’s third largest watershed. The Eel River has received both State (1972) and Federal (1981) Wild and Scenic River designation, a title which protects the river from future dams and ensures that environmental concerns rank equally with development and industry. Historically, the Eel River boasted one of California’s largest salmon and steelhead trout runs. The Eel River and its tributaries still provides excellent habitat for Chinook (King Salmon), Coho Salmon (Silver Salmon), and Steelhead Trout—all of which are listed as threatened or endangered under the Endangered Species Act. Salmon are economically and culturally important around the world. Treated 151 miles of rural roads, preventing 319,922 cubic yards of sediment from entering streams. That's close to 32,000 dump trucks. Removed two high priority fish passage barriers, restoring access to over 47 miles of habitat upstream. Six Phases of sediment reduction work completed since 2001. - 201, 325 cubic yards of sediment prevented from entering Hollow Tree Creek. - 119 miles of road treated. - 45 roads decommissioned permanently. - 1 small dam removed. The Hollow Tree Creek Hatchery Fish Passage Improvement Project was completed in the late 2012 field season. 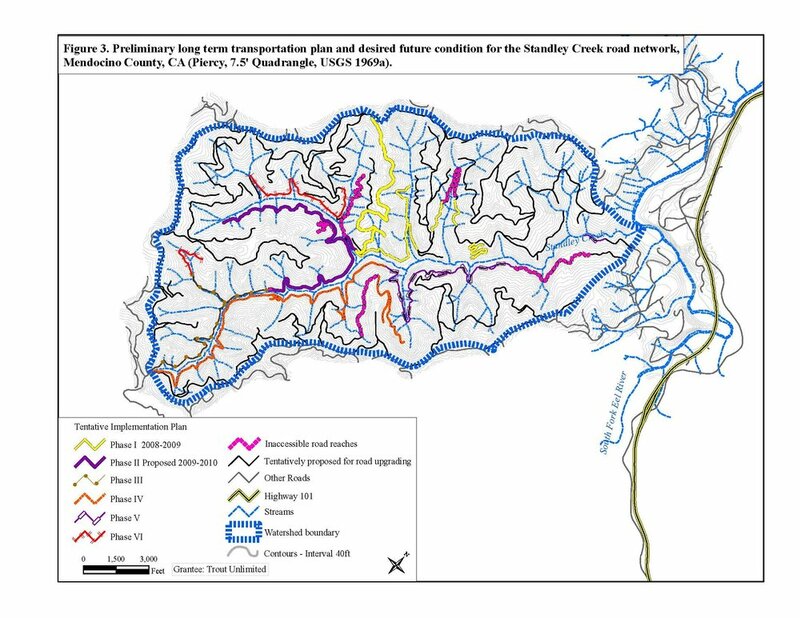 The overall goal was to improve fish passage and instream spawning and rearing habitat for Coho salmon and steelhead trout in the Hollow Tree Creek watershed, a tributary to South Fork Eel River. The project removed a 60-foot concrete sill at the Hollow Tree Creek Hatchery to provide unimpeded access to 47 miles of high quality habitat in the Hollow Tree Creek watershed. Six phases of sediment reduction projects since 2011. - 103, 059 cubic yards of sediment prevented from entering Standley Creek.